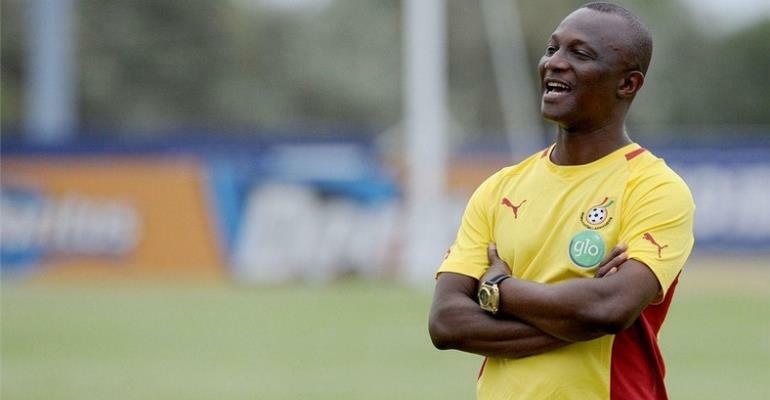 Head Coach for the Black Stars, James Kwesi Appiah has reiterated that his final team for the Africa Cup of Nations (AFCON) 2019 will be decided after Ghana’s final qualifying match against Kenya over the weekend. The former Black Stars captain who is known for discovering talents amongst Ghana’s vast pool of players is currently facing the headache of a final team that will battle the rest of Africa in a bid to win a first AFCON title in over 3 decades. Having handed call ups to different kinds of players in virtually almost all the qualifying matches, Kwesi Appiah remains bent on getting his final squad right in order to present a formidable side at the AFCON. Speaking to Joy FM ahead of the Stars last qualifying game against Kenya, the gaffer stressed that he is once again giving some new players the chance to prove what they have to offer the national team because he will be deciding on his final team for the big assignment after this match. “Some players are given the chance now to come and play for all Ghanaians. I have always said that I don’t believe in the idea that it is only Kwasi Appiah who has seen the player. Every player should come and have the chance to perform and all Ghanaians will judge at the end of the day because the final team is supposed to be made after this squad”, Coach Kwesi Appiah said. He continued “And then every single Ghanaian will have the opportunity to say this guy came and he did well. It is unfortunate there are some few players that were invited and didn’t have the chance to play. But I believe once you play all Ghanaians will see you and then on the final day when the final team is being every Ghanaian should have observed and say this guy came and deserves to be in the team. It shouldn’t be only me telling Ghanaians that these are the players am taking to play”. Ghana’s match against Kenya will be played at the Accra Sports Stadium on Saturday March 23, 2019. Kick off time is at 18:00GMT. Below is the 24-man list of the Black Star players expected to start camping today ahead of the Kenya clash.